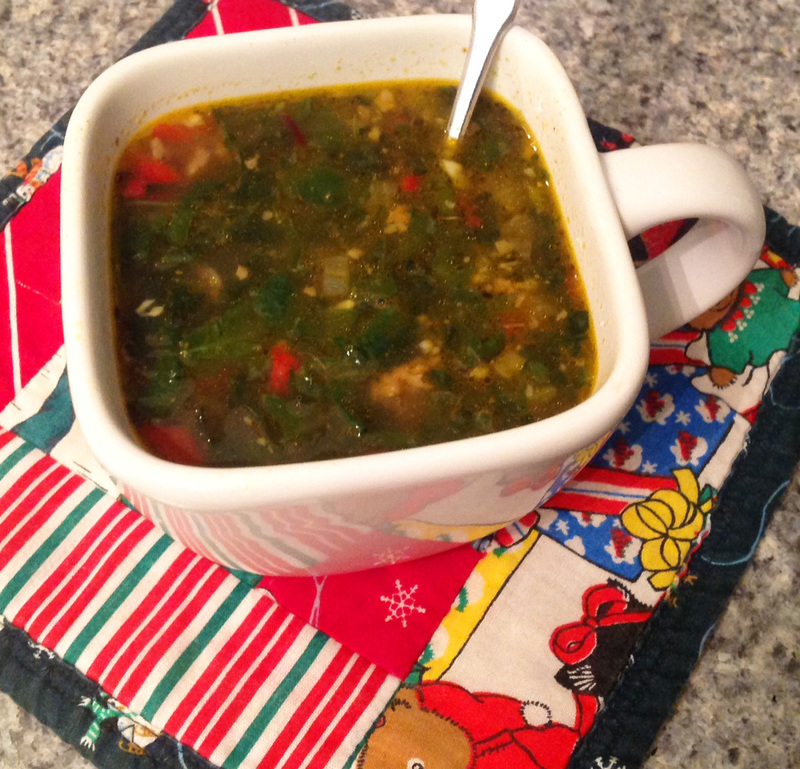 A flavorful winter soup filled with sausage and greens from Co-op Owner, Amy Neussl. Over medium heat in a large pot, saute the onion in oil. Cook thoroughly until translucent and fragrant. Add the sausage and cook completely. Next add the minced garlic, chopped kale, and diced red peppers. Move items around in the pan. Add in all the spices (heat to taste) and cover the ingredients with the chicken broth and water. The broth will turn a nice red-orange color from the smoked paprika. Bring to a boil, add the frozen spinach. Cover and simmer until the greens are softened.